Want a day break to explore nearby beaches and local food the area has to offer? 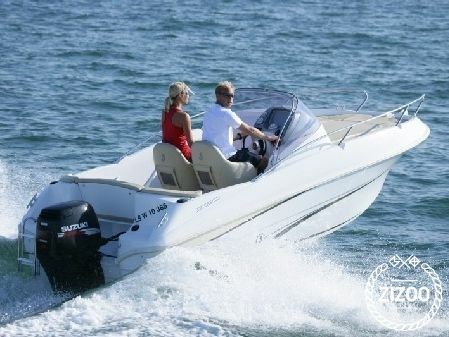 This 2010 Beneteau Flyer 550 Sun Deck is just the right boat to do that. You can even rent additional equipment if you wish to try some watersports as you go. She will be ready from 9 am at Punat Marina, a great starting point to check out islands such as Cres and Losinj - the waters in the area are home to playful dolphins so watch out to see if you spot some. Rab is a must for lovers of history and Romanesque architecture. It has traditionally been known for its nudist beaches, where King Edward VIII and Wallis Simpson went for a skinny dip in 1936. She comes with a bimini, deck shower and radio/cd player, so get a crew of 6 together, pack your bag with what you will need for the day, check out the charts for some good routes and plan your day. Ask your charter staff for some ideas if you're unsure where to go.